Compatible with Bluetooth Enabled Music Players & A2DP Enabled Devices Such as iPad iPhone iPod Touch Android Smart Phones Tablets etc. The Pyle PHBT3E Sports Headphones give you wireless Bluetooth performance. Listen to your favorite songs, enjoy internet radio services like Pandora or Spotify, and take calls thanks to the built-in microphone. Go from listening to music to answering phone calls – Quickly & Easily. Play your favorite music or answer calls with a simple press of a button. Perfect for exercising and training in the gym or outdoors. 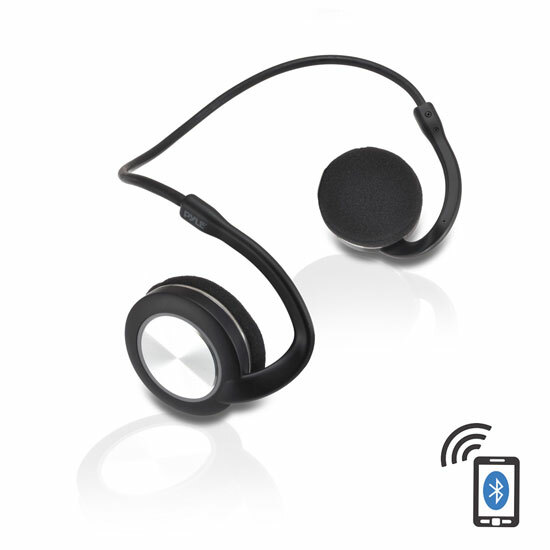 The flexible headphone band fits comfortable and won’t interfere with your physical activities. Enjoy wireless audio freedom and full-ranged stereo sound with the PHBT3E Bluetooth Sports Flex Headphones.